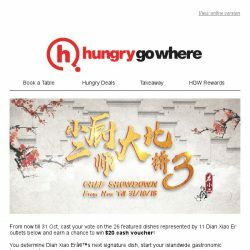 [HungryGoWhere] Kick start your October with new dining treats like 1-for-1 HK Inspired Mains, 1-for-1 Steamed Seafood Set Menu, and more! 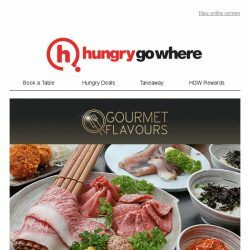 [HungryGoWhere] Feast on these steaming hotpot deals like 1-for-1 shabu shabu set at $49.99++ (UP$74.98), hotpot buffet from $25.80++, and more! 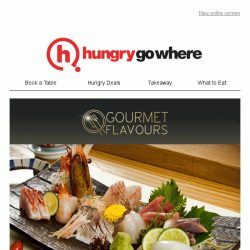 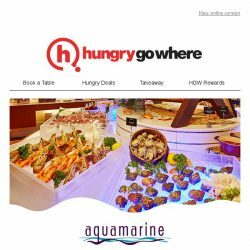 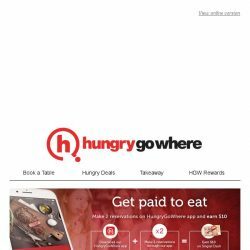 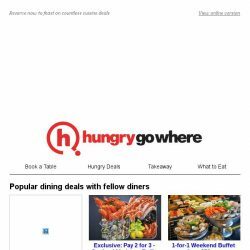 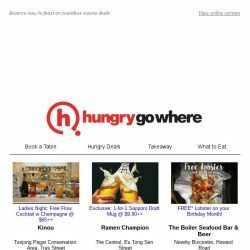 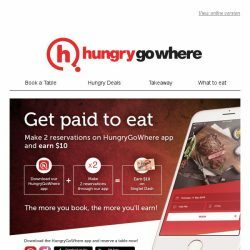 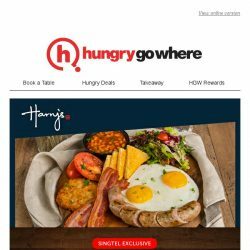 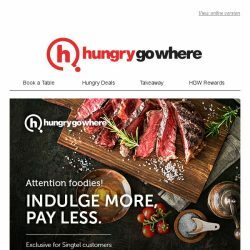 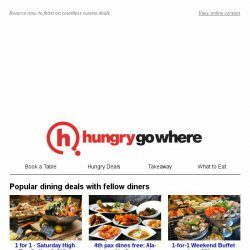 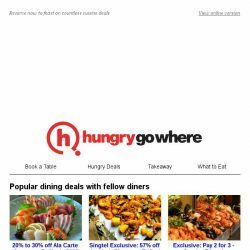 [HungryGoWhere] Last call of Singtel Exclusive Deals on 1-for-1 Buffet for Wagyu or Seafood lovers, Free 1 Crab (U.P. 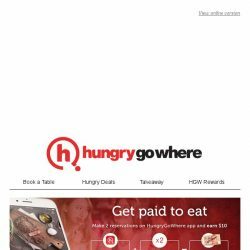 $70) with no min. 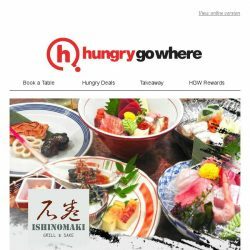 spend, and more! 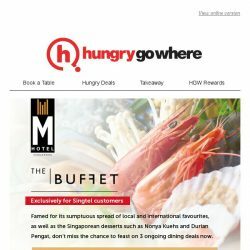 Till 30 Sep 2018 Fumee: Enjoy 1-for-1 Mix & Match Mains @$45++! 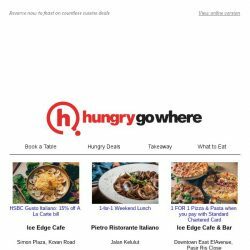 1-for-1 is back in season, but this time with a twist! 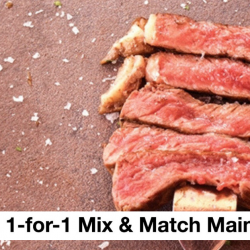 For the month of September, mix & match 2 of your preferred mains and enjoy at a price of one ($45++) at Fumee! 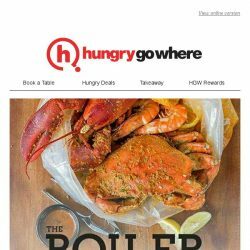 Choose from Black Angus Ribeye Steak, Baby Back Ribs, Surf & Turf Lobster or Flambé Lobster Thermidor Pasta. 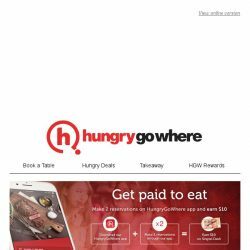 To redeem, just make your reservation via HungryGoWhere at no additional cost! 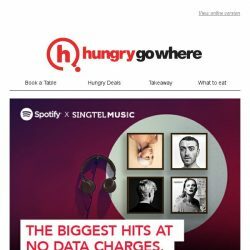 [HungryGoWhere] 7 days left to get 3 months of Spotify Premium at $1!